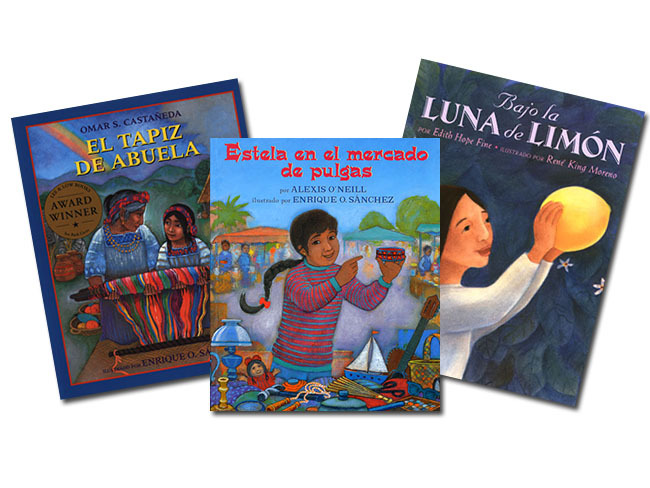 This collection of books celebrates Latin American cultures as well as encouraging the exploration of different cultural perspectives and experiences. 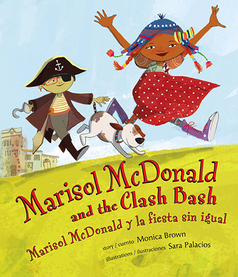 Whether you are looking for bilingual books or dual language sets with Spanish and English editions, you'll find what you need here. 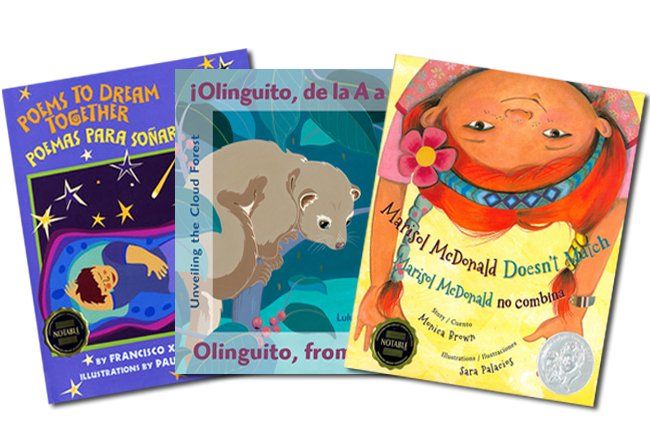 This popular collection includes diverse, culturally accurate stories in Spanish that support literacy learning content for beginning readers in Guided Reading Levels A-M. 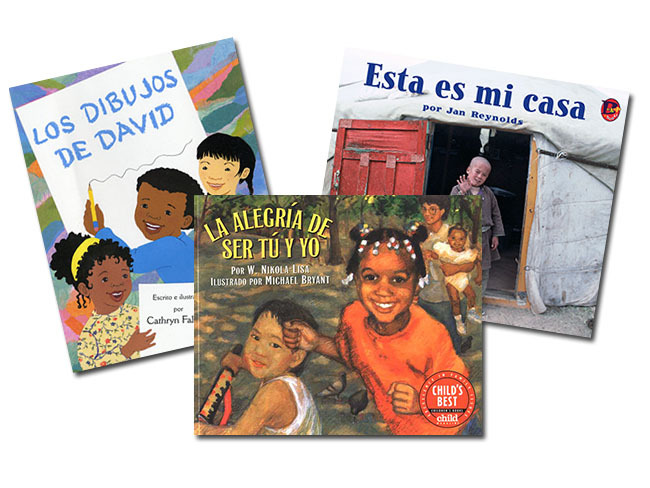 These books are great for teaching in a dual language program, exposing a child to the Spanish language, and bridging classroom reading with Spanish-speaking parents at home. 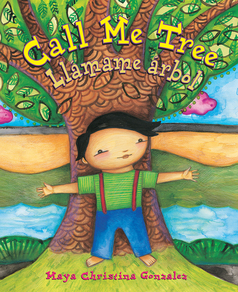 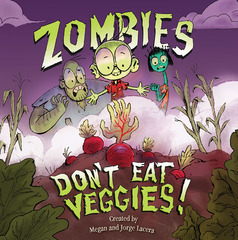 This collection includes Spanish and bilingual picture books for beginning and soon-to-be readers. 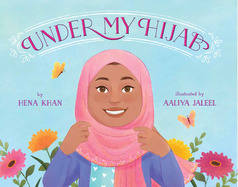 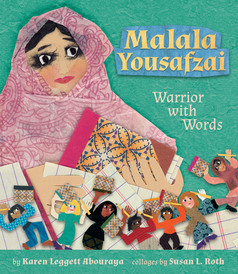 Perfect for home and school, these books work great as read alouds and for independent reading. 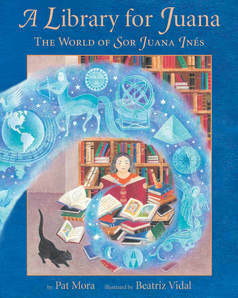 Books include a wide range of genres including poetry and prose, nonfiction and fiction, historical and contemporary. 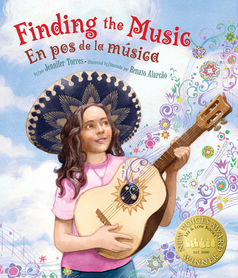 This collection of books in Spanish for grades 3-6 contains a range of topics that celebrate Latin American cultures and history as well as the immigrant experience. 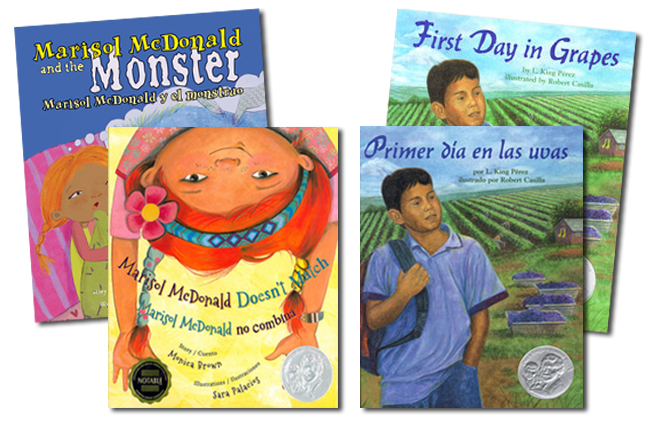 Learn about delicious foods from the Americas, get to know famous Latino baseball players, and cheer on Jessenia at her first swim meet. 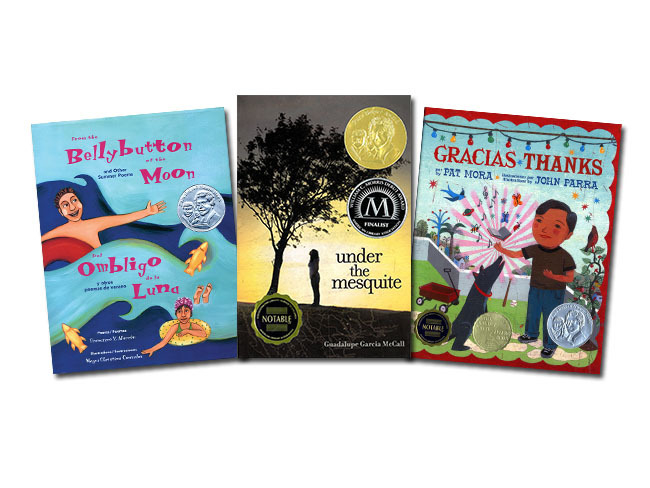 The prestigious Pura Belpré Award is given each year by the American Library Association to honor the best children's books celebrating the Latino cultural experience. 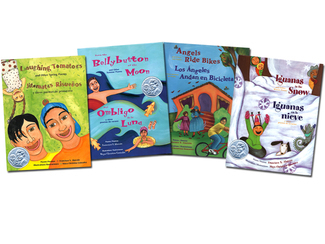 This collection brings together all of our Pura Belpré Award and Honor-winning titles. 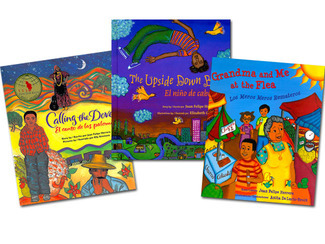 Chosen by expert librarians, these bestselling books are sure to be a hit with young readers and cover a comprehensive range of topics relating to the Latino experience. 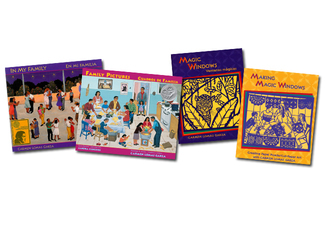 One of our most popular series! 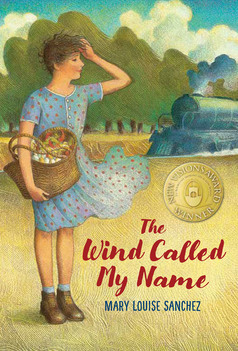 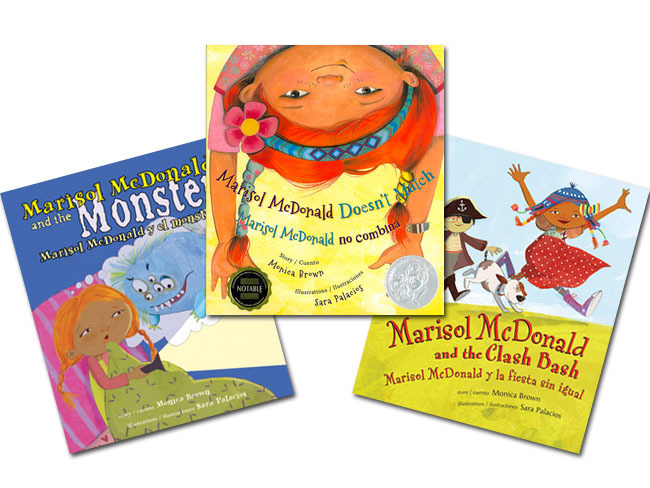 Meet Marisol McDonald, the free-spirited Peruvian-Scottish-American girl headed straight into the hearts of young readers everywhere. 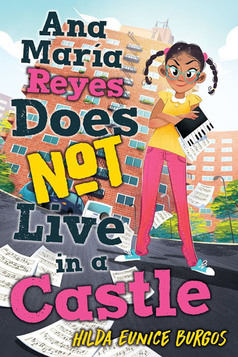 This award-winning bilingual series celebrates the experience of being multiracial and encourages individuality.